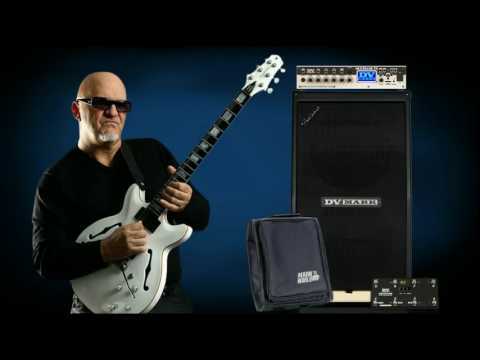 Frank Gambale and DV Mark worked together to develop an all-in-one amp that compliments his remarkable sound and technique. The incredible tones of Frank's signature amp called Ampli-tude are now added to the virtual amps, incredible effects, features and programmability of the Multiamp. Plus, there are 20 finely crafted presets by Frank built in also. 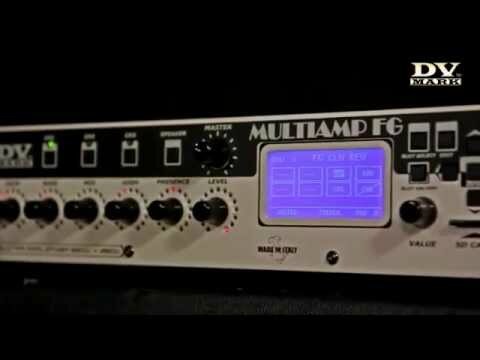 The result is the MULTIAMP FG Frank Gambale signature. 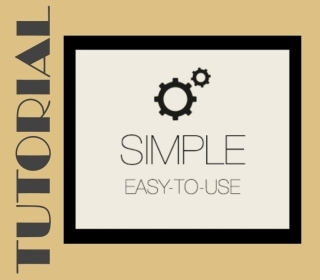 It is a great feat of technology, and a very user-friendly creative tool. Thanks to its cabinet and microphone emulation plus amp simulator and effects, it offers incredible flexibility. 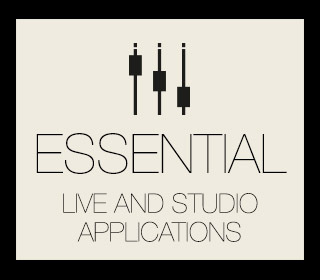 We've still managed to create a user-friendly interface which makes it very easy to use, and you can store all your favourite presets for stage and/or studio. As for the standard version, the MULTIAMP FG has a powerful 150+150W@8ohm, 250W+250W@4ohm or 500W@8ohm (in bridge mode) power amp, that makes its amps and effects sound great at any volume! 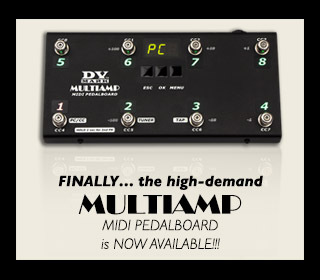 The MULTIAMP MIDI PEDALBOARD is a powerful tool designed to have a complete and easy control of the Multiamp; it can also be customized for your gear requirements!!! The MULTIAMP FG takes up two standard 19" rack units, and weighs only 9.48 lbs / 4.3 kg. Its rack ears are removable so it's perfectly portable and the Multiamp bag (optional) allows you to transport your MULTIAMP in a knapsack and then keep the amp in the bag during use! 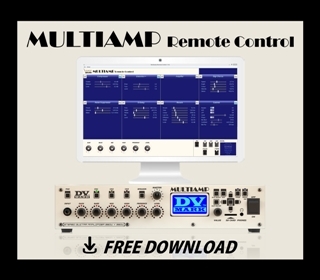 MULTIAMP's state-of-the-art design allows for continual expansion... our team will continue to work hard to periodically release new firmware updates, new items, and more and more useful and exciting tones and effects. We want only the BEST for our customers! 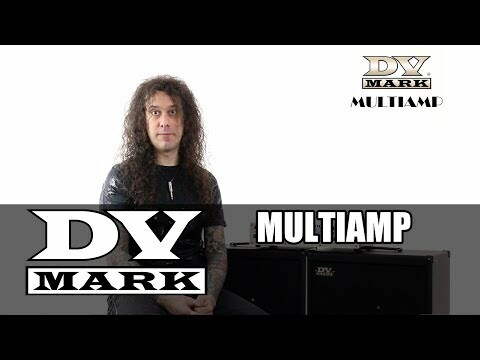 DV Mark amps/combos are manufactured to be sold and used in the country of purchase, and they are factory preset to that country’s voltage. Due to homologation issues, the voltage may not be changed. Frank Gambale’s clinic in Melbourne. Nov. 5, 2018, 8:49 a.m.
DV Mark top artist and guitar legend Frank Gambale will be at the Melbourne Polytechnic on November 18th for a guitar clinic sponsored by DV Mark and CMC Music. Frank Gambale and Dean Brown performing in China. July 25, 2018, 8:58 a.m.
DV Mark top artists Frank Gambale and Dean Brown are gonna be in China to perform on some very cool events. Frank Gambale will be there with his band Soulmine. Frank Gambale & Soulmine European concerts. Oct. 9, 2017, 12:49 p.m. The amazing guitar virtuoso Frank Gambale is going to perform a few European gigs with his band Soulmine in Sweden, Poland and Italy, then doing a bunch of acoustic clinics for Cort where he’s gonna use his DV Mark AC 101H amp! Guitar legend Frank Gambale interviewed by TopGuitar. Sept. 19, 2017, 1:29 p.m.
Polish magazine TopGuitar just published an interview with DV Mark top-artist Frank Gambale in their September issue. Gambale Sweep Masters Competition- Here is the winner! Sept. 4, 2017, 8:38 a.m. 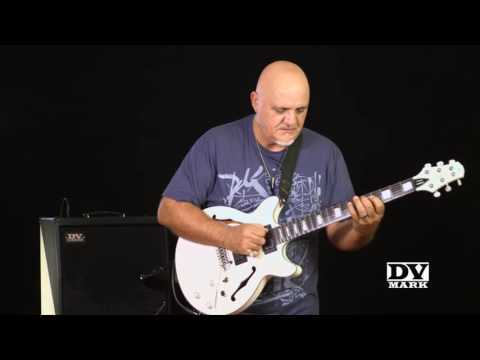 The DV Mark artist of this week is Frank Gambale! June 12, 2017, 9:01 a.m.
Gambale is the the undisputed genius who originated the sweep picking technique and elevated it to a precise art form now standard in the guitar lexicon. Frank Gambale DV Mark clinics in Hong Kong and Beijing. March 14, 2017, 9:15 a.m.
Frank Gambale is now on the road with Chick Corea and the Elektric Band for a sold out asian tour with this historical lineup. They’re traveling across many asian countries and Frank will take the time to do two great DV Mark clinics during this trip. Multiamp New Firmware 5.1 Nov. 24, 2016, 1:48 p.m.
We're proud to announce the release of our Multiamp new firmware update 5.1! This new firmware includes some important key features representing another step ahead for this state of the art All-In-One amp by DV Mark. Amazona reviews the FGC121 combo. Oct. 4, 2016, 12:31 p.m.
Germany web magazine Amazona tested the FGC 121 Frank Gambale signature combo. DV Mark artists at 4th Edition of DAY GUITARS festival. Sept. 2, 2016, 10:24 a.m. Tomorrow, Saturday Sept. 3 in Costanta (Romania) will be held the DAY GUITARS festival, one of the most important and prestigious modern guitar festival in Europe. 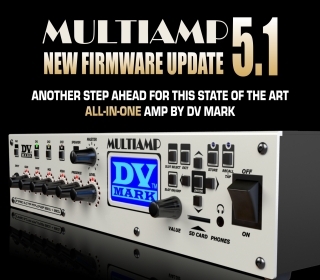 MULTIAMP NEW FIRMWARE UPDATE V 5.0 May 23, 2016, 7:38 p.m.
NOW available the new firmware update for DV Mark Multiamp, FREE DOWNLOAD!! 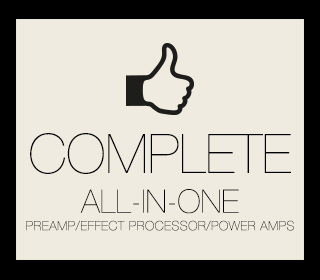 !<br> ADD NEW EFFECTS, NEW AMPS, NEW MICROPHONES AND NEW AMAZING FEATURES TO YOUR MULTIAMP!!! 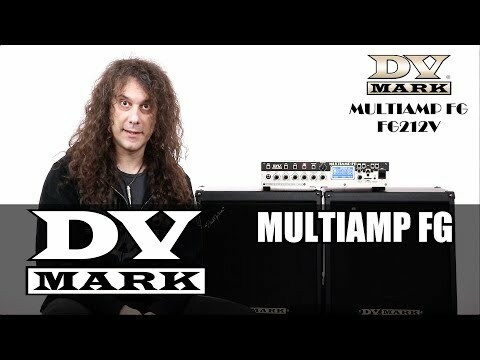 Delamar reviews the Multiamp FG. March 23, 2015, 12:54 p.m.
Remany portal Delamar revieved the Multiamp FG Frank Gambale special edition. Frank Gambale – MULTIAMP FG World Tour March 16, 2015, 12:03 p.m.
Grammy-Winning guitar legend Frank Gambale is about to embark on an extensive clinic tour in US and Europe demoing his new amplifier, the special edition Multiamp FG. Frank Gambale | Brazilian Tour 2013. July 23, 2013, 7:28 a.m. The amazing Frank Gambale is about to hit the land of Brazil for an incredible clinic tour and several shows. 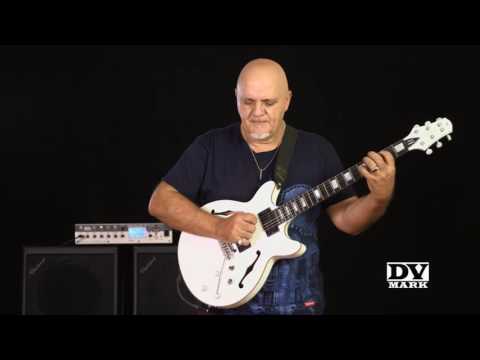 DV Mark FGC121 Frank Gambale signature combo. 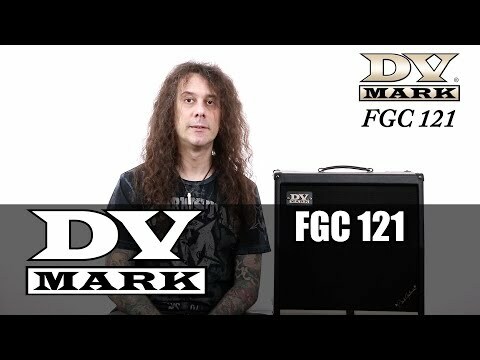 DV Mark Multiamp FG and FG212V.